...a beauty pageant for the photosynthesizing set. Ten, I told them. I'm sorry, but I can pick only ten of you. My leafy beauties winked and waved, each one vying for my attention. The miscanthus tossed its blond-streaked tresses and rustled its skirts. The tree fern showed a bit of leg. The roses gave an aristocratic little "ahem," and the Arizona cypress struck a casual pose. The Rudbeckia ‘Herbstsonne' – bursting its stays again – simply lay there and giggled. How to choose? There was only one way: I'd set categories and select my favorite in each. It would be a beauty pageant for the photosynthesizing set. No…it would be more. On this stage, talent and good character would earn at least as many points as the swimsuit competition. After all, it's embarrassing when Miss Perennial turns out to be a bit of a tramp or if, by summer's end, Miss Container Plant has just plain gone to pot. This sunny little honey is loud and flashy and completely unapologetic. Its shocking pink flowers are eye-popping against chartreuse leaves marbled with green. Limelight is no shrinking violet when it comes to endurance, either. 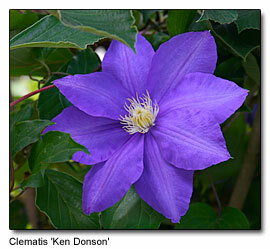 The plants have been in cultivation for well over a hundred years. They reseed (politely) and sometimes perennialize. Out of a field that included Euphorbia ‘Tasmanian Tiger', Helleborus lividus ‘Crug's form' and the Potentilla sp.aff. gelidaI bought years ago at Heronswood, the golden bleeding heart won out for shining like a beacon in the dark corners of my garden. Or perhaps "Guilt" might be a better name, when you realize you've spent the children's milk money to acquire a whole chorus line of these long-legged, big-haired show girls. Ornamental Amazons, these grasses can grow nine feet tall with broad leaves heavily highlighted in gold and white. The other contestants in this group, Cornus serecia‘Midwinter Fire', Cotinus‘Grace', and Rhamnus frangula ‘Fine Line' are inferior to Suzette in only one regard: they're easier to acquire. 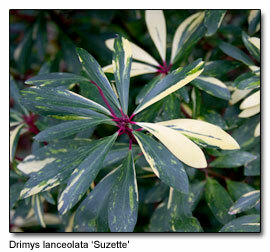 Suzette is a rare beauty with a cherries-and-cream complexion of cerise-colored stems and great dollops of variegation in her evergreen leaves. Reportedly growing to six feet high and four feet wide in five years, Suzette, that roly-poly coquette, is listed hardy to Zone 7. In my fairly mild Zone 8 garden, Suzette-in-the-ground sails through winter. Suzette-in-a-pot did not. Pauvre potted Suzette. The surprise is that one of my 4" impulse purchases at the NW Flower and Garden Show turned out to be such a great plant. Neat, tidy, and a bit of a romantic, Blue Surprise has a tight, upright form that doesn't succumb to snow damage. The soft, juvenile foliage is powder blue with a purple overcast in the winter and on new stems. To six feet, they say, though mine has already exceeded that. Surprise! I have crowned this clematis Queen of the Vines for one very good reason: it's been blooming all summer in a witch hazel outside my front door, and the flowers are impossible to ignore. As big as my hand and a rich lilac blue, the blossoms progress to seedheads that start off looking like miniature galaxies in the making, and end up as striking, feathery fluff balls. 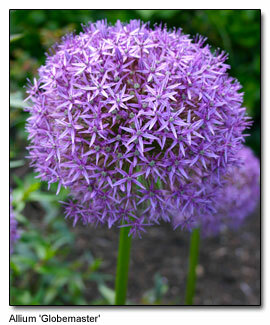 The other contender for the title, Allium karataviense, was a close second. But no one wants to go around trying to say karataviense (much less spell it), so Globemaster won out. When well grown, Globemaster is a real head turner (full sun; spring fertilizer; summer drought; excellent winter drainage; dig, divide and replant every year or two). A sterile hybrid, she has it over her fertile sisters in that her 9" purple flower heads hold their color for nearly a month, and after turning to tan they are long-lasting in dried arrangements. No wonder Globemaster has such a big head. Voted Miss Congeniality. I have two Wilmas in pots flanking a doorway. These are actually second generation Wilmas, as the originals were swapped out for smaller ones when they got too big – like runway models who've been hitting the casino buffet. My Wilmas have taken drought, heat, snow, freezing temperatures, sun and shade, and remained the picture of health. A five minute trim and a little Miracle Gro is the only beauty treatment they get. Oh, yes, and they smell like Lemon Pledge, as is appropriate for anything or anyone named Wilma. Handel himself would sing the praises of this paragon of rhodie-dom. Though rhododendrons in general are received with a chorus of yawns by the landscape snobs, Hallelujah will appeal even to gardeners with the most catholic of tastes. Here is a rhodie you really can grow for the foliage alone: robust deep green leaves which arc gracefully downward. The plant is likely a tetraploid, with heavy substance in both the leaves and the heavenly, electric pink trusses. How many plants earn the Rhododendron Society's perfect 5/5 rating? OK, I don't know either, but not very many. Let's hand the tiara to Miss Pacific Northwest herself, the lovely, conflicted Pacific madrone. Yes, her wood is bowling ball hard, but these native trees are surprisingly delicate and do not thrive in captivity. A healthy tree is a sculptural, distinctive symbol of the Pacific coast. 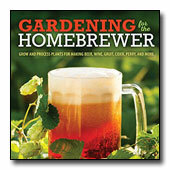 They are also messy, prone to decline, difficult to pot out, and practically impossible to transplant. Spring's smooth red bark dries to cinnamon strips in the summer. In the fall, bright persimmon-red berries attract a variety of birds. 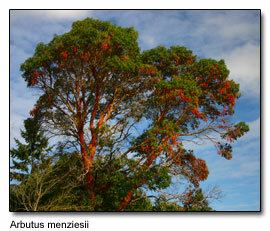 If you are lucky enough to have a healthy madrone on your property, cherish it, and leave it alone.